The Australian Education Union (AEU) is calling on the Federal Government to commission an independent review of NAPLAN ahead of the Education Council meeting in Adelaide this morning. State and Territory Education Ministers and the Federal Minister, Simon Birmingham, will meet in Adelaide on education policies and issues, amidst growing calls from the sector and public for an independent NAPLAN review. 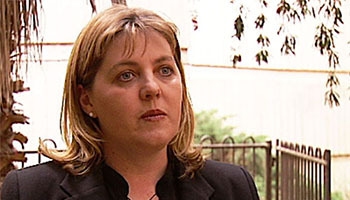 “Minister Birmingham must address NAPLAN concerns now. The AEU has led the debate about NAPLAN and we are pleased that there is sector-wide support on the urgent need for an independent and comprehensive review into NAPLAN. “Birmingham and the Turnbull Government are running out of excuses for delaying a decision on reviewing NAPLAN. They need to resource a comprehensive review into a decade-old standardised testing regime. “NAPLAN places unnecessary pressure on our children, their families and teachers and does not take into account the high quality, broad curriculum and learning experience that our schools provide,” said Ms Haythorpe. A survey of teachers by the AEU completed late last year found more than half of teachers surveyed felt they spent too much time preparing for and administering standardised tests. Sixty-two per cent reported that the publication of NAPLAN data has led to a ‘greater focus on preparing for the test including pre-testing’ and 55 per cent said that it has led to a ‘reduced focus on other areas of the curriculum’. Sixty-three per cent reported an increase in student stress levels in the lead-up to the NAPLAN test. “The best form of assessment is the informed judgment of a teacher. Teachers make sure the full range of factors influencing a child’s learning are considered, and conduct a variety of learning assessments. “A child’s education and academic merit can simply not be encapsulated as a number in a spreadsheet – we need a much more holistic assessment process which is connected to the daily learning that occurs in our schools. “Processes need to be put in place that allow time in the school week for teachers to assess, evaluate and report on student learning. “Whatever assessment process the government decides on, whether that is NAPLAN or a new system entirely, will only work if the government commits to equitable schools funding. “Without the fair funding of public schools, schools will not have access to the vital resources and funds to lift results and achievement levels – it’s as simple as that,” said Ms Haythorpe. The Australian Education Union will be in Adelaide today to highlight sector calls for a review into NAPLAN. They will also present the Education Council with a letter signed by various organisations and thousands of individuals calling for the fair funding of public schools as part of the Fair Funding Now campaign.